High-quality mixing desk dust cover for CALREC Apollo 10 5. Available in Microfibre & Polyester. High-quality mixing desk dust cover for CALREC Apollo 11 5. Available in Microfibre & Polyester. High-quality mixing desk dust cover for CALREC Apollo 12 5. Available in Microfibre & Polyester. High-quality mixing desk dust cover for CALREC Apollo 6 5. Available in Microfibre & Polyester. High-quality mixing desk dust cover for CALREC Apollo 7 5. Available in Microfibre & Polyester. High-quality mixing desk dust cover for CALREC Apollo 8 5. Available in Microfibre & Polyester. High-quality mixing desk dust cover for CALREC Apollo 9 5. Available in Microfibre & Polyester. High-quality mixing desk dust cover for CALREC Artemis 24. Available in Microfibre & Polyester. High-quality mixing desk dust cover for CALREC Artemis 32. Available in Microfibre & Polyester. High-quality mixing desk dust cover for CALREC Artemis 40. Available in Microfibre & Polyester. High-quality mixing desk dust cover for CALREC Artemis 48. Available in Microfibre & Polyester. High-quality mixing desk dust cover for CALREC Artemis 56. Available in Microfibre & Polyester. High-quality mixing desk dust cover for CALREC Artemis 64. Available in Microfibre & Polyester. High-quality mixing desk dust cover for CALREC Brio 36. Available in Microfibre & Polyester. High-quality mixing desk dust cover for CALREC Mini Mixer Mk II. Available in Microfibre & Polyester. 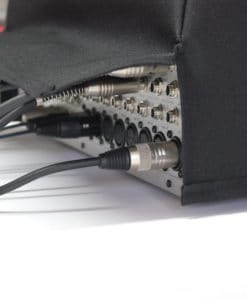 High-quality mixing desk dust cover for CALREC Summa 12 8. Available in Microfibre & Polyester. 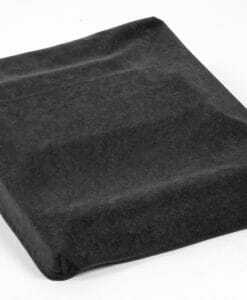 High-quality mixing desk dust cover for CALREC Summa 24 8. Available in Microfibre & Polyester. High-quality mixing desk dust cover for CALREC Summa 36 8. Available in Microfibre & Polyester.